The Sun Breaking through the Clouds over Sydney, Australia. 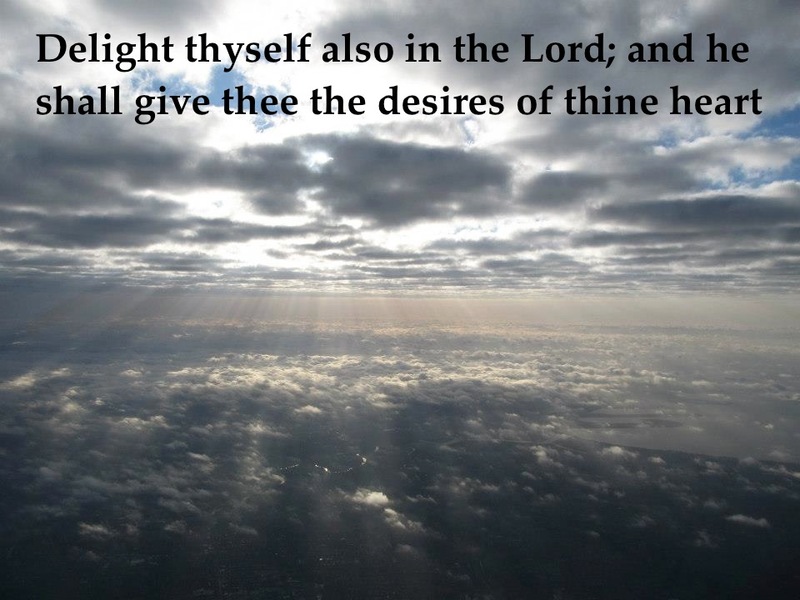 “DELIGHT THYSELF IN THE LORD” (Psalm 37:4) Why can we Delight in Him?? When we go astray, He is the seeking Shepherd. When we are lonely, He will never leave us, nor forsake us. When we are confused, He is our wisdom. When we are full of guilt, He is the merciful God who forgives. When we need direction, He is our Light. When we are sorrowful, He is our Comforter. When we are without Hope, He is our hope. When we need love, He loves us with an everlasting love. When we are misunderstood, He knows our heart. When we face death, He is the Resurrection and the Life.